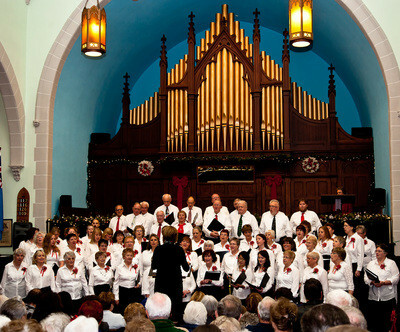 The Town Singers of Carleton Place, Ontario, was established in 2007. The idea for a community choir was put forward by Gloria Baker in the summer of 2006. With Ivy Draper and then director Kristine MacLaren on board, rehearsals commenced with a small group of singers in a member's living room in February 2007. As we grew we moved to the larger rehearsal space at St. James Anglican Church and perform twice annually at All Nations Church, formerly St. Andrew's Presbyterian Church. The group is a non-auditioned four-part choir ranging from 50 to 90 voices. Our season runs from September to June, with performances in December and June. A smaller group performs at various community functions and events. The Town Singers range in age from 15 to 85. The group rehearses at St. James Anglican Church in Carleton Place, Ontario. Our group includes experienced and amateur singers. No experience is necessary to join. All we ask is that you have a willingness to learn coupled with a great love of singing. We take care of the rest! Photo of Paul unavailable at time of posting. Coming soon! a Carleton Place resident, is a recent graduate of the University of Ottawa with a degree in Music. 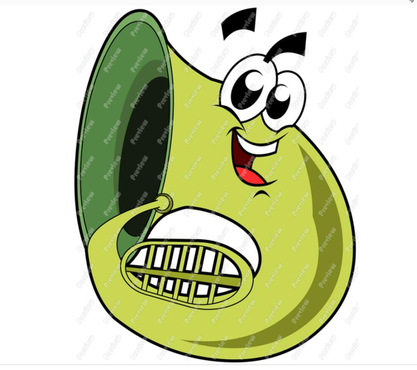 He is busily organizing the music for the next session when he is not playing his tuba in the Perth Town Band. He volunteers with the OrKidstra in Ottawa and plays with the Ottawa Pops Orchestra. Our Accompanist: Lanark-based jazz and blues pianist/singer Peter Brown has performed at the Ottawa jazz festival nine years running. He has toured with Canadian blues legend Dutch Mason, American blues artist Sherman Roberson and with former Rolling stones guitarist Mick Taylor, and was the keyboardist for Mumbo Jumbo Voodoo Combo for 17 years. 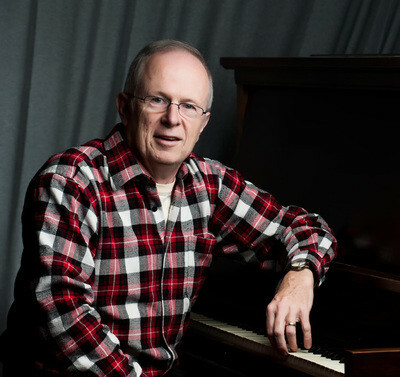 In addition to his work with the Town Singers, Peter has also served as pianist/band leader and arranger for the Mississippi MUDDS theatre company in Carleton Place and as pianist for the Stone Fence Theatre Company in Eganville. His Peter Brown Quartet hosts two very popular monthly jazz nights in Carleton Place.